So as I mentioned in my previous post, I made quite an abundance of little finger foods for mi abuela’s surprise birthday party this past weekend. One cannot subsist on doughnuts alone, you know (although mi papa might try if given the opportunity). In addition to the almighty cake-doughnuts, I also made a plethora of appetizers and little mini dessert bites. Some of which I would like to now share the recipe for so that you all may enjoy them as well at your next afternoon tea party– which, by the way, I will be more than happy to plan for you if you name the right number of carrots price. First up, my Ricotta and Pistachio Stuffed Dates. So easy to make and only 4 ingredients required. 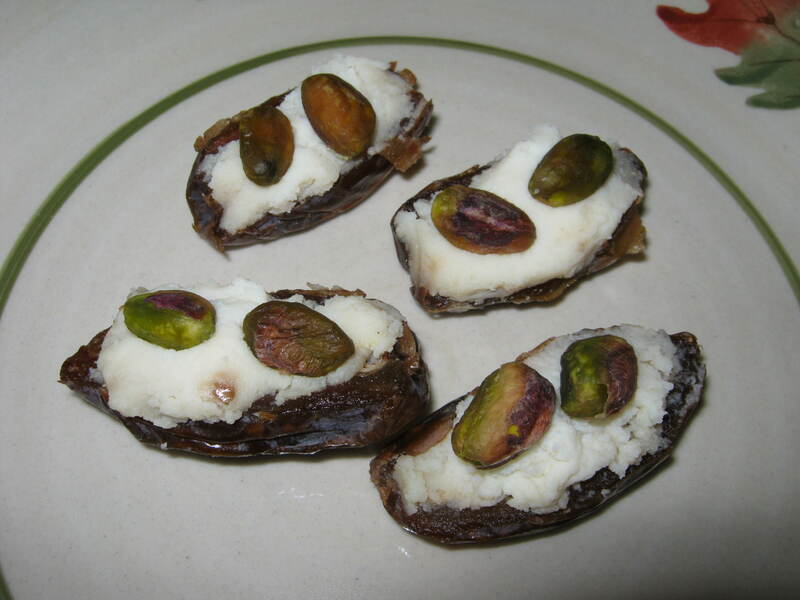 1) Spread 1 tsp of Ricotta cheese inside each date half. 2) Top each half with 2 pistachios. 3) Drizzle the top with a small amount of honey. Now on to my Carrot Cake Balls. These are not quite sweet enough to be considered a dessert, but also not savory enough to be an appetizer. Therefore they’ll just remain in a category of their own– Awesome! 2) Whisk together the flour, oats, baking powder, cinnamon, ginger and salt in a large bowl. 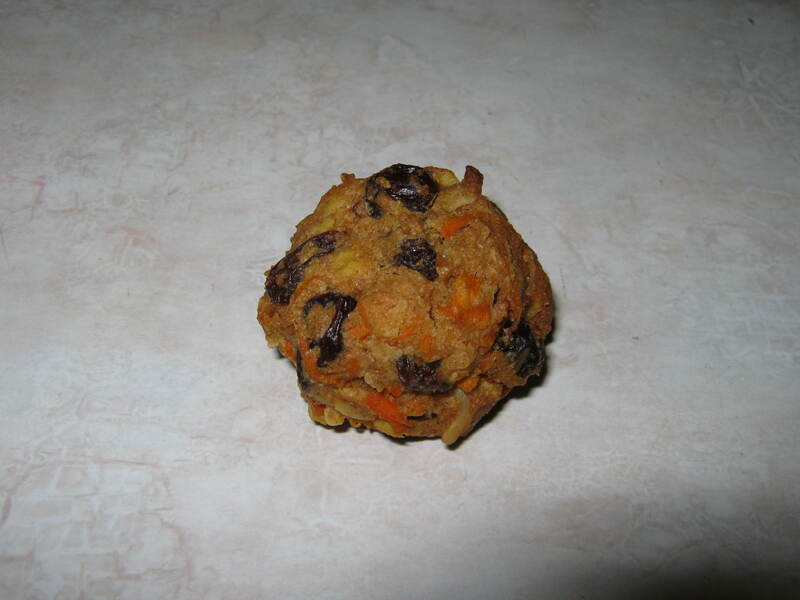 3) Add in the coconut, nuts, soaked raisins and shredded carrots. 4) In a small bowl, mix the maple syrup, softened coconut oil and vanilla. Add to the flour mixture and stir until combined. 5) Shape about 1 tablespoon of dough into a ball using your hands. Place on a greased cookie sheet and bake 12-15 minutes. Allow to cool at least 10 minutes on a cooling rack until serving. 2) Place the nuts, oil, oats, 2 tbsp sugar, 2 tbsp maple syrup, 1/2 tsp cinnamon, 1/2 tsp vanilla, almond extract and a pinch of salt in a food processor and pulse until well combined. This should take about 20-25 pulses. 3) Lightly coat a mini muffin or cupcake pan with cooking spray. Place about 1 tbsp of nut mixture into each cup. Press the crust into pan with damp hands. Bake 7-8 minutes and allow to cool on rack. 4) Meanwhile, clean out food processor and add the cream cheese, 2 tbsp of maple syrup, 1/4 cup sugar, 2 tbsp lemon juice, the flour, 1/4 tsp cinnamon, a pinch of salt and 1/2 tsp vanilla extract. Blend until the mixture is creamy. 5) Pour the mixture evenly into cooled nut crusts– about 1 tbsp each. Bake 20-25 minutes or until cheesecakes look somewhat browned. 6) Allow to cool on wire rack before transferring to refrigerator to cool at least 30 minutes to an hour before serving. 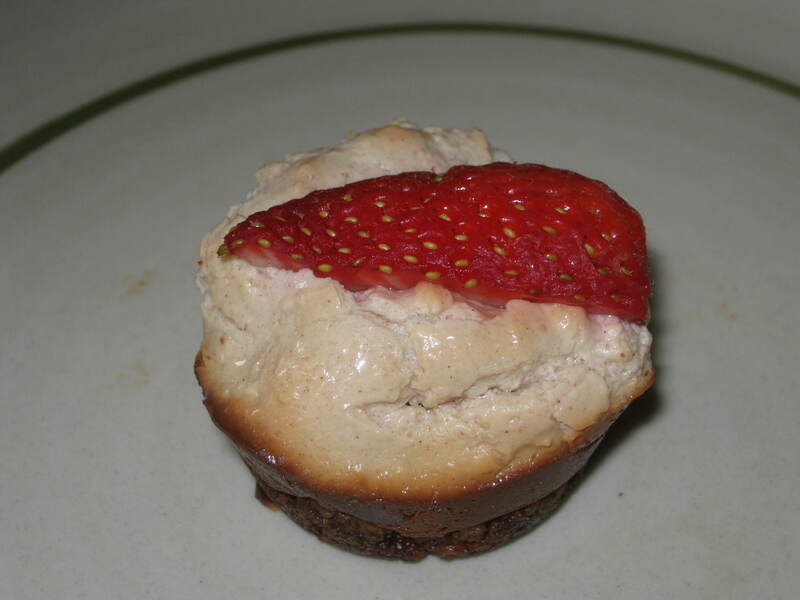 7) Top each cake bite with a small strawberry sliver and serve. Mmmmmm!!!! So there you have it. Three absolutely yummy and healthy finger food recipes to make for your next afternoon get-together or soiree. 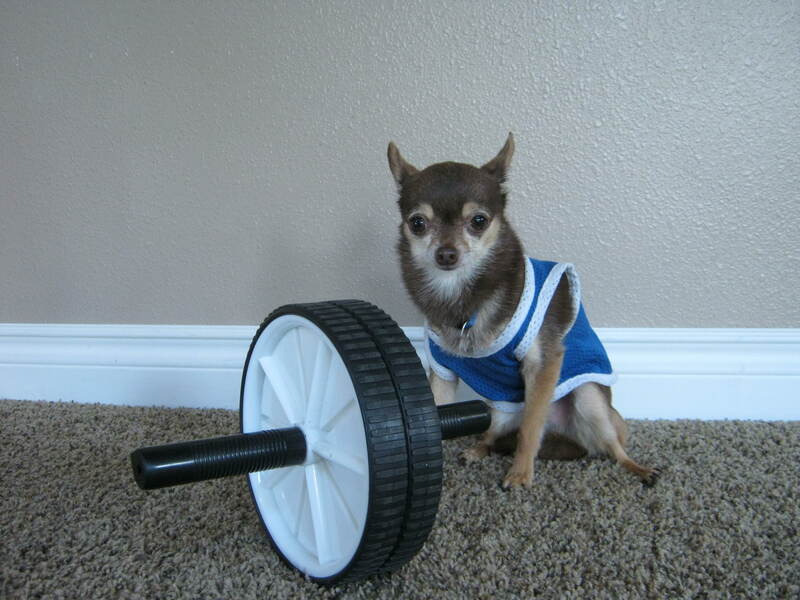 Now if you’ll excuse me, I must be off to the gym again. A few leftover stuffed dates somehow managed to make it onto the floor and into my mouth and now I’m feeling a wee bit bloated. Gotta get out the old ab wheel.